I ran user benchmark and it shows my drive is very slow. Why do you think your drive is very slow? What is your motherboard model? Could you post other benchmark results? 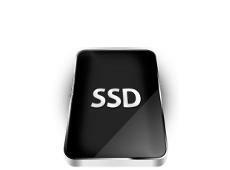 Benchmark the drive with AS SSD Benchmark and post the results with 'Edit > Copy' option. Thanks. I think I misinterpreted the information I got from Userbenchmark. I'm getting better results now.